Not so long ago, the eco-gastronomic movement called Slow Food was founded in Italy in 1989. It has since expanded globally to over 100,000 members in 150 countries. 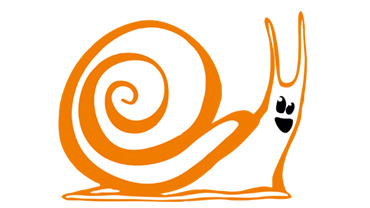 The sign of recognition for all the slow food restaurants is a snail placard. Slow food is not food that takes forever to get to the table; it is actually a concept of dining that combines whole foods that are, in general, locally grown, dishes made with health of the body and soul in mind, and meals that are appreciated when eaten. This concept also includes mini meals (“ganga”) which are served to the guests at regular intervals and are prepared to suit their current moods, where the top quality chefs are always at disposal to give their professional advice at request. 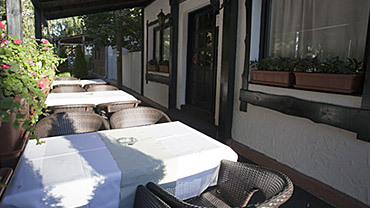 Tucked up on the quiet Ohridska Street in the Urban Municipality of Zemun the ABC Restaurant is the right place for the lovers of tasty snacks and quality foreign and locally produced wines. The welcoming environment is dominated by wood, brick, and a lot of carefully selected old-time details that bring to life the images from bygone days, while the sounds of light Spanish and Portuguese music add to your enjoyment. The friendly staff will recommend some of the most favoured mini meals (“ganga”) and at request, you can make personal arrangements with the chef for a perfect meal of your own choice which you will enjoy at a slow pace. Gangas - snacks to remember! It is hard to describe what is common to the dishes available on the menu. If you are paying your first visit as our guest you simply must try the crispy rolls of steak with pumpkin seed sauce. Only words of praise go for the delicious turkey fillet in turmeric sauce with sun-dried tomatoes and gorgonzola, but best of the best, according to the assessment of the majority of our visitors is “the Karavan” – marinated veal cutlet with smoked cheese. A mention should also be made of the sweet ganga such as hazelnut dry cake – dry only by name - a delicious oriental-type dessert you are going to recommend to all your friends or a chocolate terrine dessert, a true chocolate symphony made with four different types of chocolate, of which the gentle mint-flavoured ingredient will certainly crown the unforgettable taste of the chocolates melting in your mouth. Welcome to a Paradise for Hedonists! 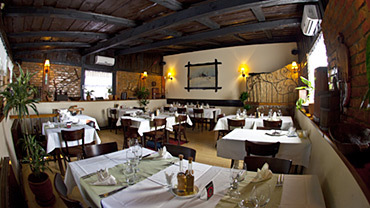 The ABC Slow Food Restaurant in Zemun is the slow food alphabet. At its heart is the aim to counteract fast food and fast eating habits. Our chef, cooks and friendly personnel would like to demonstrate that eating healthy is eating slowly. When the meal is over, after you have licked your fingers and plates and have made a statement “fast food, never again” - we shall feel confident that the mission we started has been successfully accomplished thanks to a concerted effort. However, slow food does not necessarily mean slow service. On the contrary! It takes you as much time to enjoy the consummation of your first course as it takes the waiter to get you a second, or a third one or as many courses as you may wish. Just like the letters of the alphabet, so do plates get arrayed on your table. Each plate has got its glass of wine and each glass of wine belongs to its plate. Come to visit us and get inspired and ready to test our chef in the sphere of culinary fantasy. Surrender to unusual combinations of tastes and colours that will be found in front of you, try the best wines to pair the top quality food and enjoy the picturesque, almost painting-like compositions on your plate. It is only by choosing the right wine to go along with your meal that all your senses will be given an opportunity to experience a true pleasure. Hedonism from A to Z at the ABC Restaurant in Zemun. See you at the ABC Restaurant!